Thank you for your interest in our UK Bank Case Study. To download just complete and submit the form. The creation of our client as a ring-fenced bank, together with the arrival of a new CEO, provided the financial institution was a catalyst for the organisation to get focussed around the culture they needed to make the business successful. 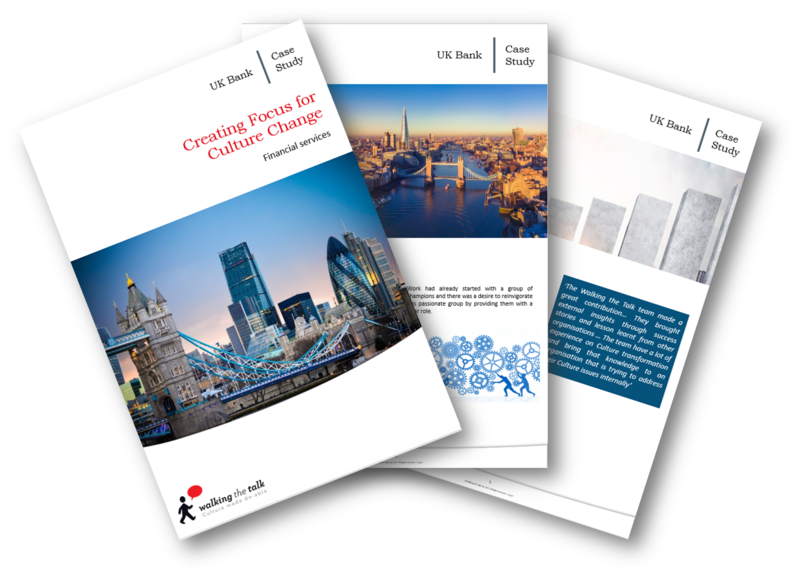 Culture was not a new concept to our client, in fact part of the challenge for the UK bank was bringing together culture goals from a number of sources and aligning that with what they wanted to achieve.